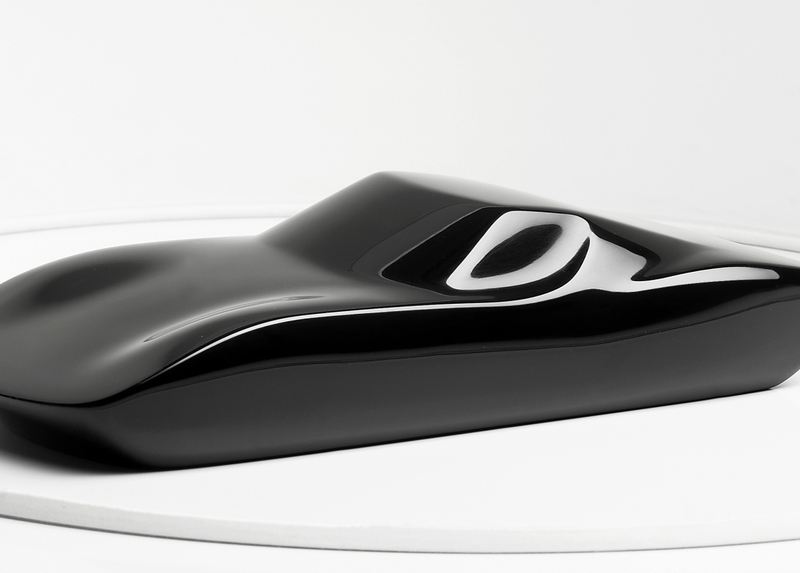 The idea of “automobiles as art” can seem a bit hackneyed but we’d wager that anyone would struggle not to see the underlying beauty in Stéphane Dufour’s incredible sculptures. French artist, Dufour (who now resides in Los Angeles) has had a life-long affinity for all things automotive and, after initially putting his impressions down on canvas, he began sculpting in 2004. This stunning Miura – cast in coloured resin – was one of his first pieces. While working on two Porsche sculptures (a 356 and a 917K, in case you were wondering), Dufour turned his attention to the original supercar: the Lamborghini Miura. Carefully studying the tantalisingly beautiful lines of the V12 icon, it took the artist three months to perfect the mould. Only then could he begin the casting process. 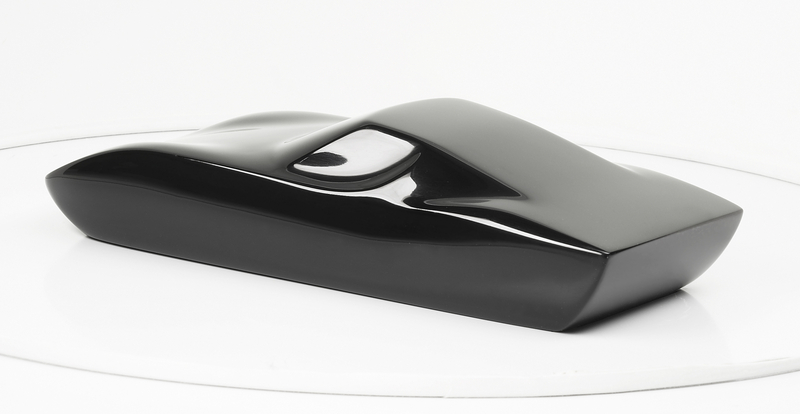 The 1/18th scale pieces are currently available in a high gloss black tint (which really allows the light to bounce off the Miura’s sculpted hips) or a more eye-catching orange. Both colours are limited to just 500 examples and each is numbered and signed underneath by Dufour.